Do NOT enter any Your details on ‘false GMail link’!!! A letter contain the link, which links You to another (unknown) page (which looks quit good and serious). You have to fill up your name, username and password. End of senders email is ‘…. .pe’. Gmail’s Team emails Does NOT have ‘.pe’ or other unusual domains and emails. Google would NEVER ask You to fill up and ‘apply’ for extra 500MB of ‘some kind of space’. Do NOT NOT NOT fill up any forms, no matter it looks OK!!! Another way – You may loose Your email account (if wrong people will have You details). Share this post with Your friends! Let Them know, that that ’email from Google’ is FALSE! 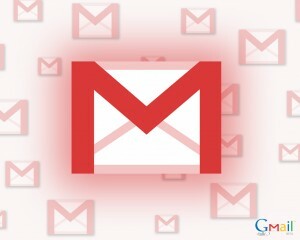 And if You got one of these letters – report about it GMail Team ASAP!